The Queens Road Dental Centre is a state of the art dental practice conveniently situated in the picturesque Queens Road in St Peter Port, Guernsey. Our newly refurbished practice boasts three Treatment Suites, a Consulting room, Laboratory and X-Ray room, all equipped with the latest technology to allow procedures to be carried out with the utmost in patient comfort, efficiency and excellence. We offer a comprehensive service that includes Orthodontic Treatment (tooth straightening), Orthopaedic Treatment (jaw alignment and jaw bone development), Prosthodontics (Veneers, Crowns, Bridgework and Dentures), Cosmetic and Restorative dentistry (Tooth Reshaping and rebuilding, Whitening and Smile Makeovers), Facial Aesthetics (Botox and Dermal fillers), Dental Implants, Root Canal therapy, Tooth Extractions, Children’s Dentistry and Oral hygiene, Nutritional Support and Psychotherapy. 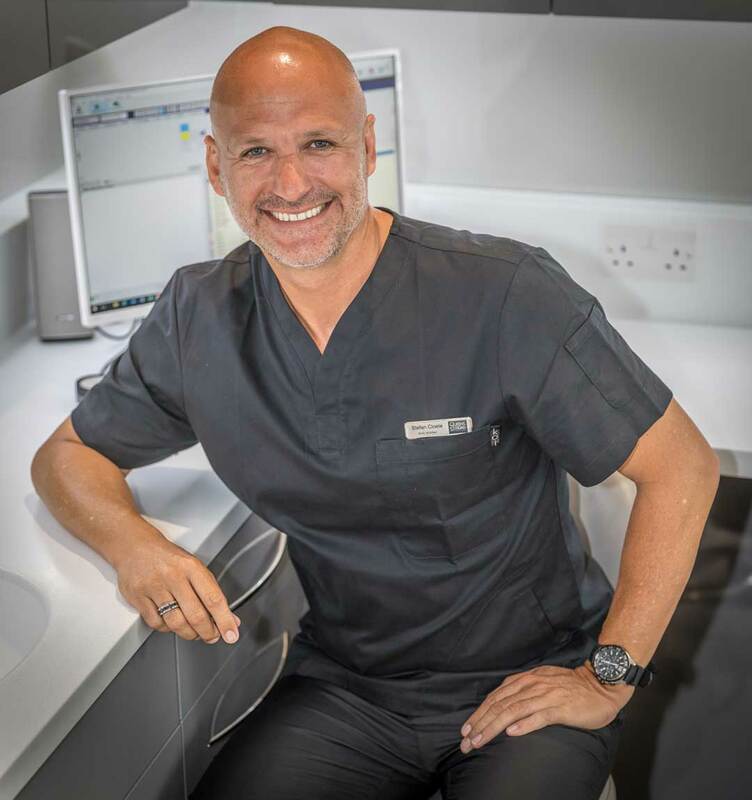 We specialise in providing nervous patients with a calm and inviting atmosphere with provisions ranging from music to therapeutic care and virtually pain-free injections, to enable them to feel relaxed and completely comfortable. We have a large car park for easy access and we are only ten minutes walk from St Peter Port High Street. At QRDC you will find friendly staff, a spacious, comfortable reception area complete with Smilevision TV and Wifi throughout the practice. Our website and online booking system allows patients to book their appointments from the comfort of their own homes.